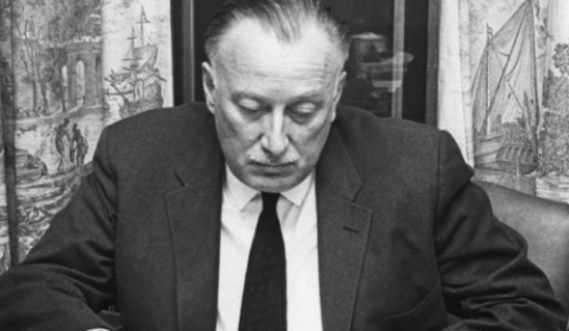 Munsinger became involved in relationships with a number of high-ranking Canadian government officials, most notably cabinet ministers George Hees and Pierre Sévigny. She later commented negatively about Hees, suggesting he was “an ex-football star and that’s it” who was “too sure of himself as a man”; Sévigny, in contrast, she pitied, saying that newspaper reports about him and his family were “nothing but lies” and that “he was the most innocent person in the whole affair”. 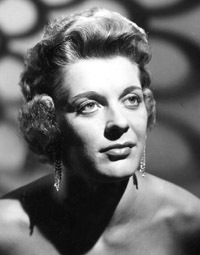 Sévigny and Hees co-sponsored her application for Canadian citizenship in 1960. The Royal Canadian Mounted Police (RCMP), after learning that the Central Intelligence Agency considered Munsinger to be a “definite security risk”, interrogated her in 1960 and conducted surveillance on her telephone conversations. However, they found no evidence that she had engaged in spying in Canada. She was briefly hospitalized in 1960 and was believed to have leukemia. Munsinger was arrested for trying to cash a bad cheque in 1961 but the charges were dropped; she left shortly thereafter to return to Germany. The affair became public in March 1966 when Minister of Justice Lucien Cardin mentioned Munsinger’s name during a debate in Parliament, in response to comments from the Conservatives about security problems in the Liberal government of Lester B. Pearson. The Liberals had been made aware of the affair two years earlier during a review of security cases involving senior government officials; Pearson had opted to not publicize it, and had instructed his cabinet ministers not to discuss it. The media heard about Cardin’s comments in the House of Commons and began circulating rumours that “Monsignor” was a Québécois priest/mobster. Despite being told by Pearson not to say anything further, Cardin disclosed during a press conference that “Olga” Munsinger had been involved with Conservative politicians; he compared the incident to the affair between John Profumo and Christine Keeler in the UK. One news report later concluded that “a blond playgirl… has thrust Parliament into a state of suspended degradation”. When the issue was first raised, the government said that Gerda Munsinger had died of leukemia several years earlier. However, this turned out not to be the case. A Canadian reporter with the Toronto Star, Robert Reguly, found her alive and well in Munich, West Germany, after locating her phone number in a local phonebook. At that time, she was engaged to German businessman Ernst Wagner. She confirmed her sexual involvement with the Conservative cabinet ministers but denied participating in espionage. Reguly’s actions in finding and interviewing Munsinger resulted in the first of his three National Newspaper Awards. After the story broke, the police were sent by the German government to guard Munsinger’s apartment and prevent unauthorized access, as a crowd of reporters camped outside for several days. One German reporter posed as a waiter and paid the owner of the restaurant in Munsinger’s building to allow him access to her room. Several days later, she gave her first television interview, to CBC’s Norman DePoe. A judicial inquiry regarding the politicians’ dalliances with Munsinger found that there had been no security leak resulting from the affair. Munsinger received “over a hundred” letters from Canadians expressing sympathy for the affair. Munsinger eventually married for a third time. She spent the rest of her life in relative obscurity under the name Gerda Merkt until she died on November 24, 1998, in Munich.